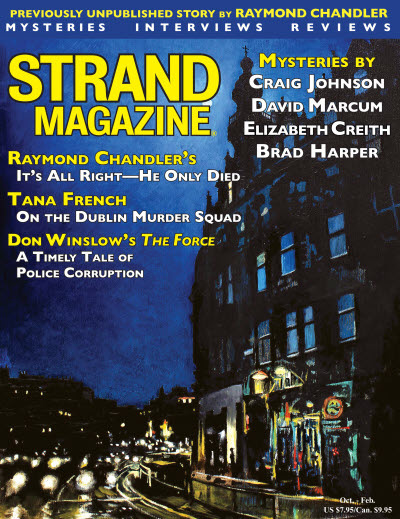 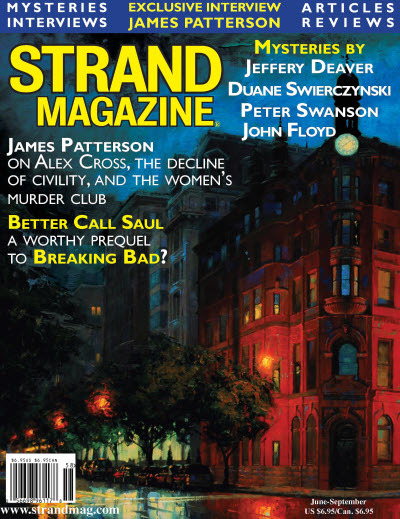 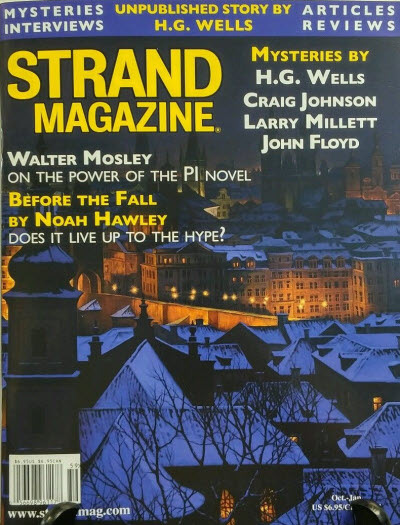 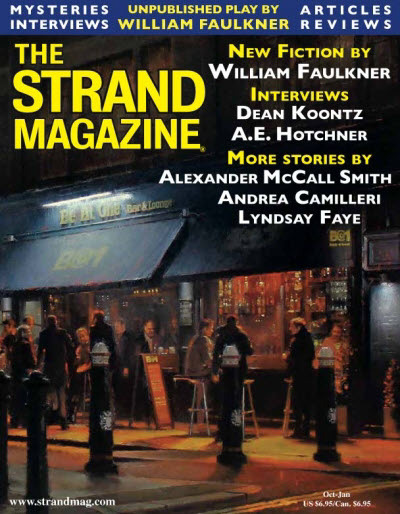 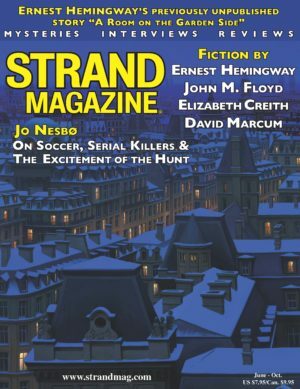 58 · The Final Lineup · [Various] · ms; The Strand Magazine Critics Awards. 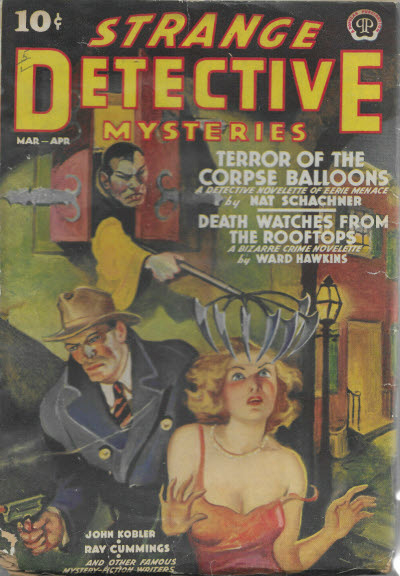 4 · The Haunted Ceiling · H. G. Wells · ss; supernatural content; ceiling depicts murder previously committed in room. 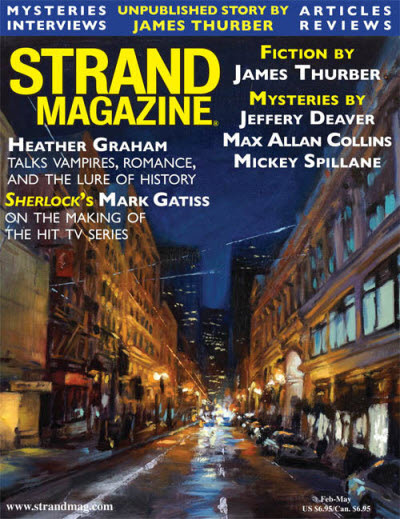 31 · The Adventure of the American Drifter [Sherlock Holmes] · Larry Millett · ss; possible supernatural content; SH aided by apparent ghost dog. 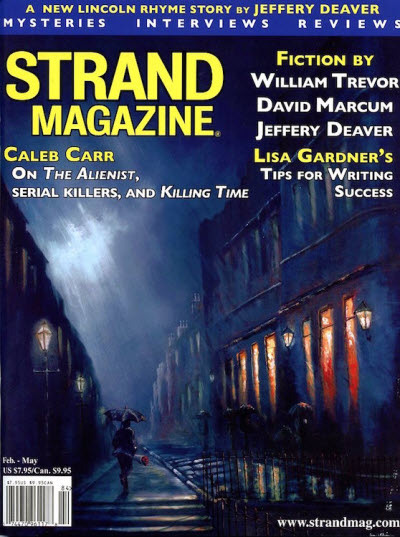 50 · All Quiet Along the Potomac Tonight · Jeffrey Dennis Pearce · vi; supernatural content; revenant unhappy with descendents betrayal. 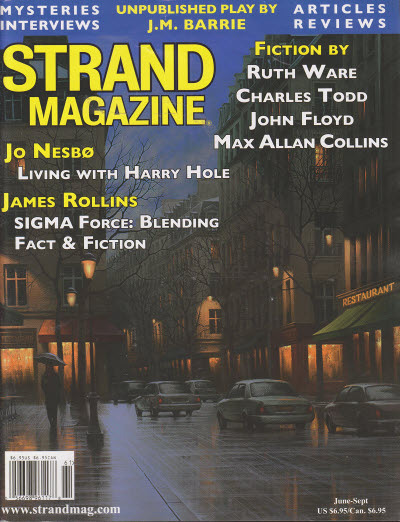 Twentieth Anniversary Collectors Issue. 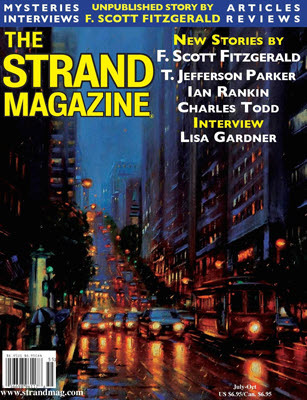 Details taken from magazine website. 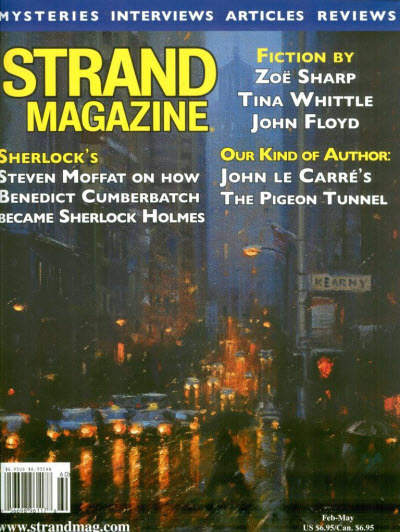 Lady Hilda Revealed [Sherlock Holmes] · Bonnie MacBird · ss [Arthur Conan Doyle]; features Lady Hilda from The Adventure of the Second Stain. 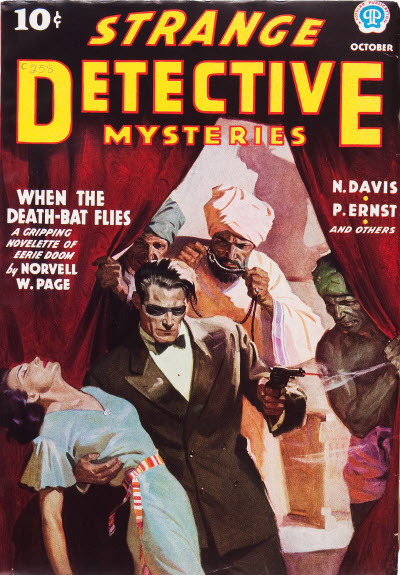 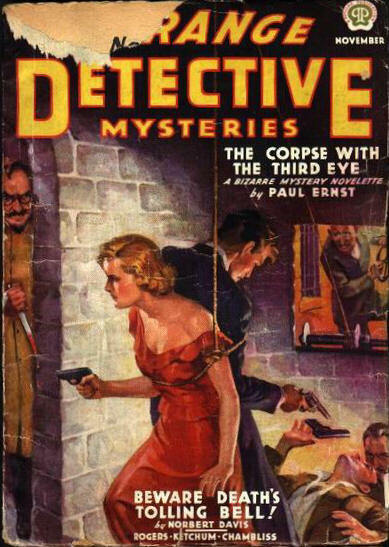 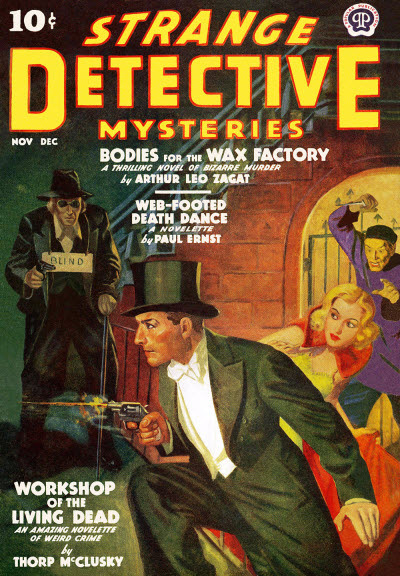 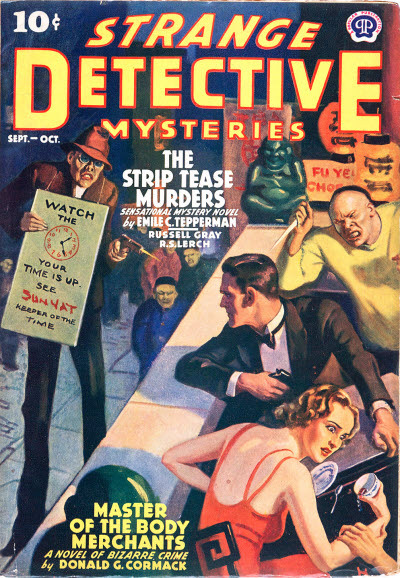 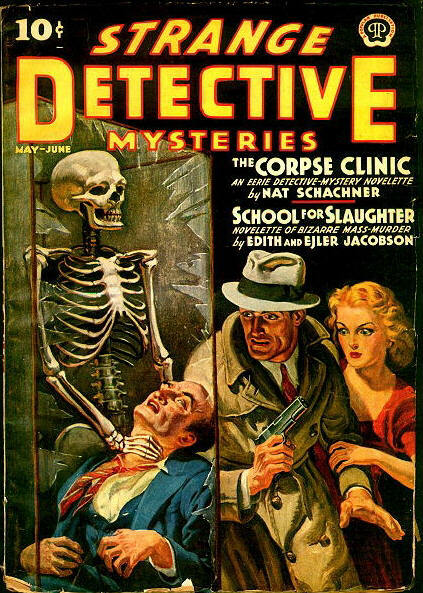 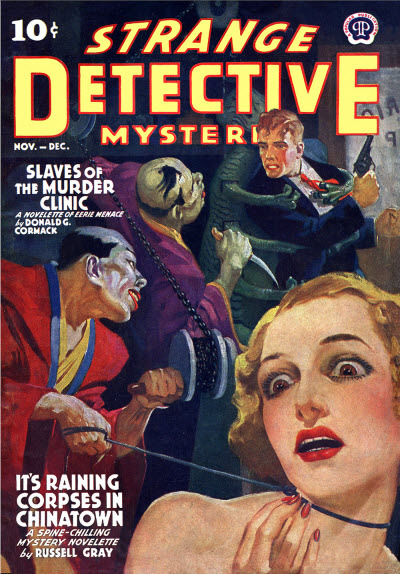 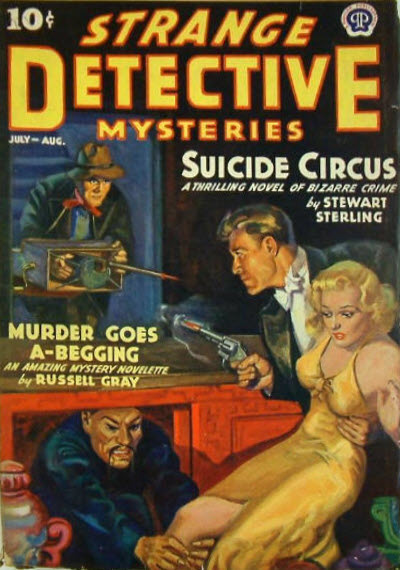 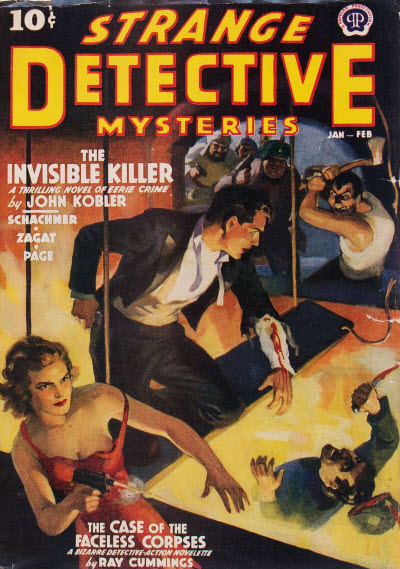 Strange Detective Mysteries specialised, as the title implied, in bizarre, thrilling, eerie-laden, mystery stories and featured a host of bizarre crime fighters. 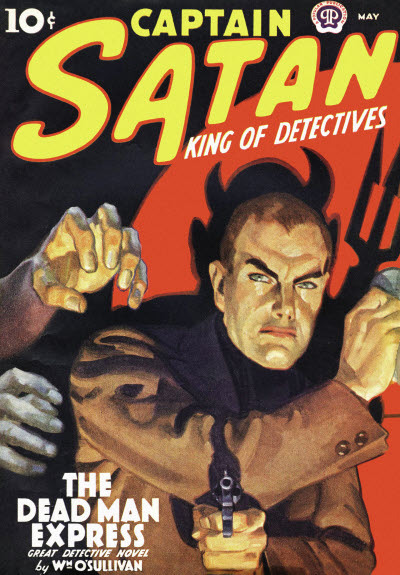 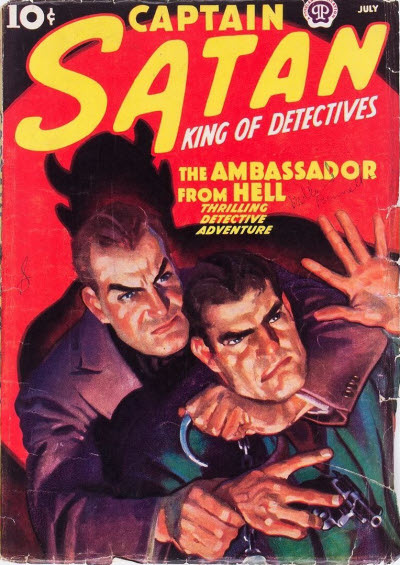 Briefly, for five issues in 1938, it changed its name to Captain Satan and concentrated on the eponymous hero, but soon reverted to the original title, publishing a total of 33 issues. 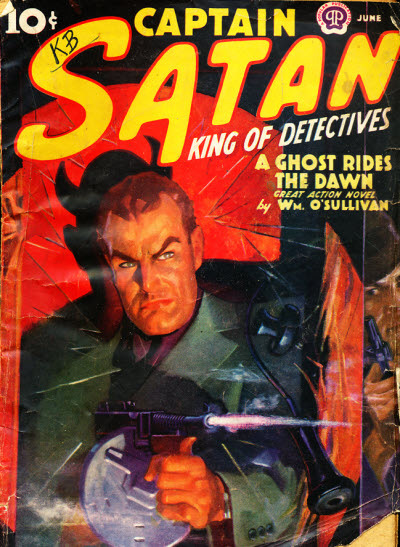 Title changed from Strange Detective Mysteries. 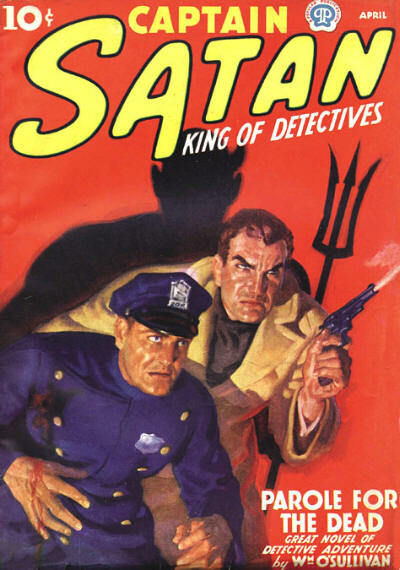 Title changed from Captain Satan. 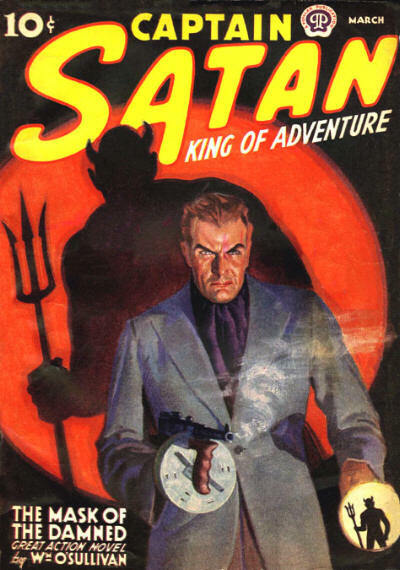 97 · Satan Fills the Morgue · Earl Peirce, Jr. · ss; given as by Earl Pierce, Jr.